Having orchestrated international language immersion programs for over 40 years, the Xperitas team have often encountered alumni while on the road. 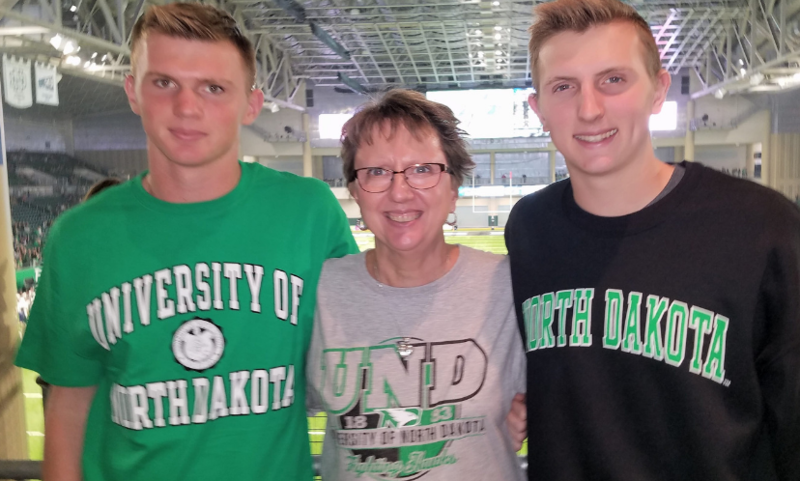 That was the case earlier this year, when we bumped into Jill Gabel, of Fargo, North Dakota, at a recent parent meeting we attended at an area high school. Jill was a high school student participant in a French immersion program thirty years ago with ISE (now Xperitas), and she was more than eager to share details about her lifechanging experience with us. She also helped put other parents at the meeting at ease with the way she clearly spoke about her own family’s positive experiences with immersion travel. Jill recalled that even three decades ago, when she floated the idea of going on a French immersion program, parents had apprehensions about sending their students abroad. While Jill’s own parents were never able to travel abroad themselves, she felt lucky that they were very supportive of her desire to travel to France. On her ISE French immersion program, Jill toured Paris, Versailles, the French countryside, and even parts of Belgium. Jill also formed an incredibly close connection with her host family, and they exchanged Christmas cards and life updates for decades following her original visit. In many ways, Jill’s immersion experience thirty years ago was very different from what students experience today. You couldn’t call across the ocean from Paris to Ames, Iowa, where Jill and her family lived at the time. Letters from home didn’t arrive until a week into her stay in Paris. In fact, after returning home, Jill learned the few letters she did receive had been sent prior to her even leaving for France! “There were no phone calls, no texting, none of the communication we have today,” Jill said. She doesn’t know how her mother survived without communication for two weeks. Contrast that to when her oldest son, Delton, traveled on an Xperitas immersion program to Costa Rica and Nicaragua last year. During the program, Jill texted Delton regularly to make sure he arrived places safely and that everything was copacetic. Likewise, Delton sent updates about his program and host family, who also cared about his well-being. He even messaged his host family with updates about his flights home and to let them know he had arrived back in the U.S safely. Although cell coverage wasn’t perfect, Jill appreciated the regular check-ins during Delton’s stay in Costa Rica and Nicaragua. For Jill, the technology has made it easier for parents like her to keep in touch, but the benefits of immersion travel are still the same. “Going abroad is a natural extension of the boys learning a language in school,” Jill said. She believes immersion programs are beneficial not only to language acquisition, but to improving intercultural skills and becoming more mature, independent and well-rounded human beings. “But it took a while for Delton to open up about his experience when he came back. The details did come out in conversations gradually,” however. About a week passed before Delton was ready to share stories about his adventures, and about the type of personal growth he had experienced. Jill is still learning things about his program and its transformative effects on him. Delton is now planning on a possible Spanish minor during college. And like his mom, Delton ended up forming a very close connection with his host family. Jill told us that even today he regularly texts his host family and he was invited to return in August of this year for his host father’s fiftieth birthday party. The handmade gifts he received from his host family are some of his most treasured possessions. Jill expects her youngest son, Payton, will have a similar experience when he goes to Spain on an Xperitas program later this year. “He sees how quickly the world is changing, and how bilingualism will be an asset for his future,” Jill said. For her, it never crossed her mind to say NO to the unique opportunity to experience another language and culture firsthand. With the attitude and wisdom Jill has imparted into her two sons over the years, it’s easy to see how immersion travel will be a Gabel family tradition for many generations to come. Lydia Behling-Hess is a Journalism and Communications student at the University of Minnesota.